Posidriv pan head screw manufactured from 316 marine grade stainless steel (A4-AISI). 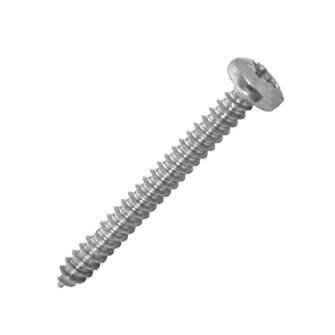 Self-tapping pan head screw is designed to tap its own hole as it is driven into timber. They were exactly what the job required. I'm very pleased with the product.